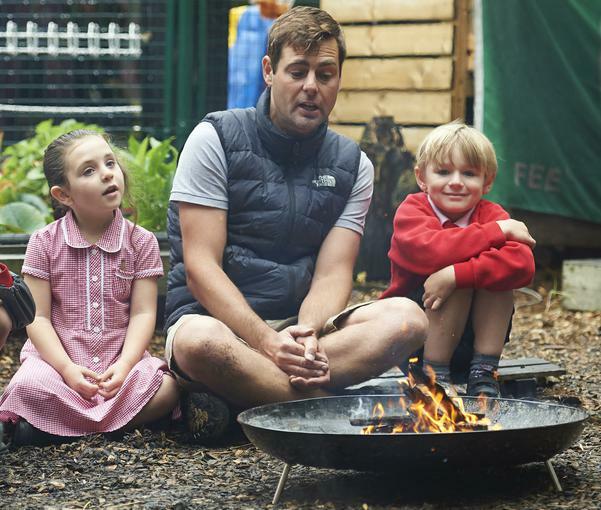 Learning outdoors is a statutory right for all children in the Early Years Foundation Stage. At Barons Court we extend that opportunity to Phase 2, 3 and Phase 4 pupils. Outdoor Learning is about children building self-esteem and independence through exploring and experiencing the natural world. The ethos of Outdoor Learning allows learners the time and space to develop skills, interests and understanding through practical, hands on experiences It also allows practitioners to step back and observe the children in order to then encourage and inspire individuals to achieve through careful scaffolding and facilitating. Our Eco-Council have been working extremely hard, along with all the other pupils and staff and we were proud to achieve the prestigious National Learning Outside the Classroom Mark (Gold) in November 2017. To receive the national accolade the school has had to show a strong commitment to providing frequent, continuous and progressive learning outside the classroom (LOtC) to all of its pupils. Awarded by the Council for Learning Outside the Classroom the mark accredits those schools that have policies in place to ensure that high quality LOtC is available to all pupils across all areas of the curriculum to benefit their learning and personal development. Throughout the year all children make repeated visits to Westcliff Beach. Exploration, creativity, problem solving and developing independence. The assessment of risks and developing resilience. Essential immersion in the natural environment. Development of an awareness of the local area. Spare socks (to go inside wellies). During cold weather it is vital they have gloves and a warm hat, during hot weather they need a sun hat.